1. Maintain all buildings and other structures which explain the history of the area and contribute to its significance - (HISTORICAL REFERENCE). 2. Ensure a consistency of scale and materials in extensions to existing buildings and in new buildings so that the new work does not detract from the historic buildings and their amenity or from the streetscape (CONSISTENCY). 3. Avoid works that result in high retaining walls and changes of land produced by cut and fill which in turn produces buildings of disparate height (HEIGHT). 4. Maintain the historical pattern of subdivision (HISTORICAL SUB-DIVISION PATTERN). 5. Subdivision must not alter the form, shape and size of the development or affect the existing pattern and scale of development (FORM, PATTERN & SCALE). 6. Maintain amenity and privacy of back gardens (REAR GARDENS). 7. Investigate archaeological potential of areas where new buildings are sited (ARCHAEOLOGY). 8. Driveways to garages/carports should be placed in backyards and separate from existing buildings (GARAGES). 9. Accurate reinstatement of building features and other works shown in historical photographs should be considered (REINSTATEMENT). 10. Avoid painting, rendering or re-skinning of original brick walls (FINISHES). 11. Avoid additions to front or side of an existing dwelling (FRONT & SIDE ADDITIONS). 12. Use the same materials as the existing house, or light- weight materials, such as painted timber or fibro (LIGHT-WEIGHT & REVERSIBLE). 13. Maximum wall heights of any extension should be the same as the existing house (HEIGHT). 14. Make use of pavilions or skillion extensions (PAVILIONS). 15. Retain existing fences and use timber paling fences to side and back boundaries and keep existing fences that are contemporary and contribute to the understanding of the history and development of the area (FENCES). 16. Only place dormer windows on the front façades of roofs where others exist in the street as street-facing dormers (DORMERS). 17. Council may consider extra rooms above the main body of a house or in a two-storey addition at the rear of a house provided (that they do not distort the scale and setting of the house and are adequately separated using pavilion forms (ADDITIONAL ROOMS). 18. The original design and features of the house are to be kept clearly apparent (KEEP ORIGINAL DISTINCT FROM NEW). 19. The scale of the building should not disrupt the continuity of the scale and character of houses when viewed from the street (SCALE). 20. 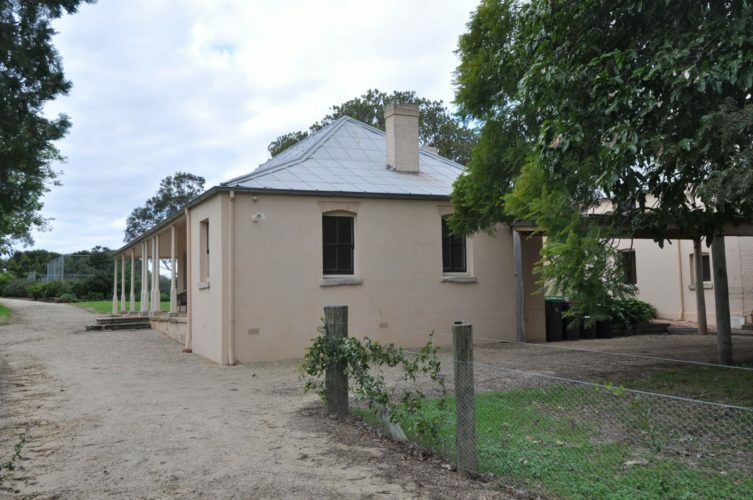 Additions at the rear are encouraged in pavilion or skillion form, within existing side setbacks (REAR ADDITIONS). 21. Links to rear pavilion additions should be single storey and the roof space above the original house should not be integrated with the addition (LOW LEVEL LINK). 22. Garages should not be integrated into the house or addition (GARAGES). 23. Any extra rooms above the existing main body of the house which require alteration of existing roof shape as seen from the street should be avoided (BULK). 24. Maintain the streetscape setting of the house to the main street frontage (SETTING). Architects, designers, owners, developers and managers of heritage buildings or buildings in conservation areas should generally be aware of the above controls before getting too far down the track with their plans and building developments. The above list is a handy checker to ensure that council objectives are met when dealing with such buildings.